Happy Happy Happy Friday! I look forward to Friday all week! 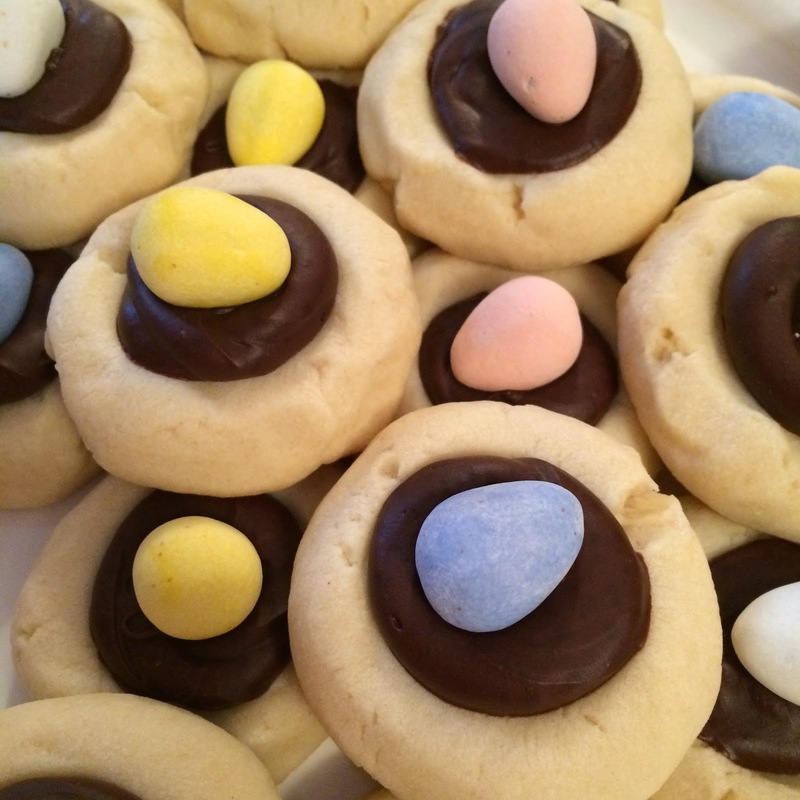 I always blog about dessert on Friday because I think it makes this day of the week even sweeter! Before I get into this week's dessert, I wanted to let everyone know that I am being featured on my friend Christina's blog! She is doing a Feature Friday once a month where she highlights a fellow blogger, and today she picked me! I was super honored. Click here to check it out! Now onto the dessert! 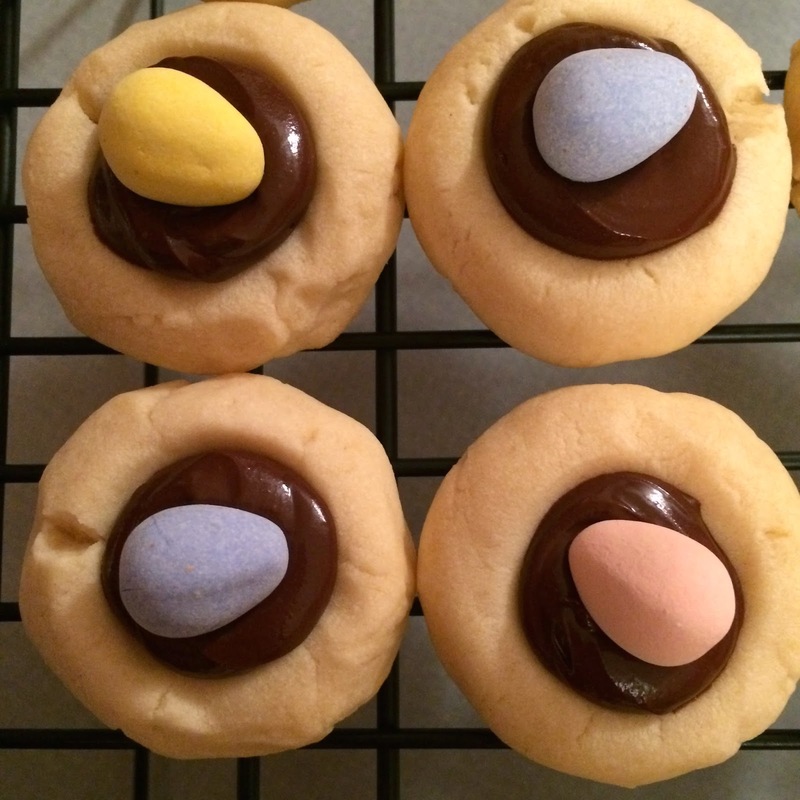 I have definitely blogged about my love of the Cadbury Mini Eggs in the past! These are like little scrumptious pieces of Heaven! 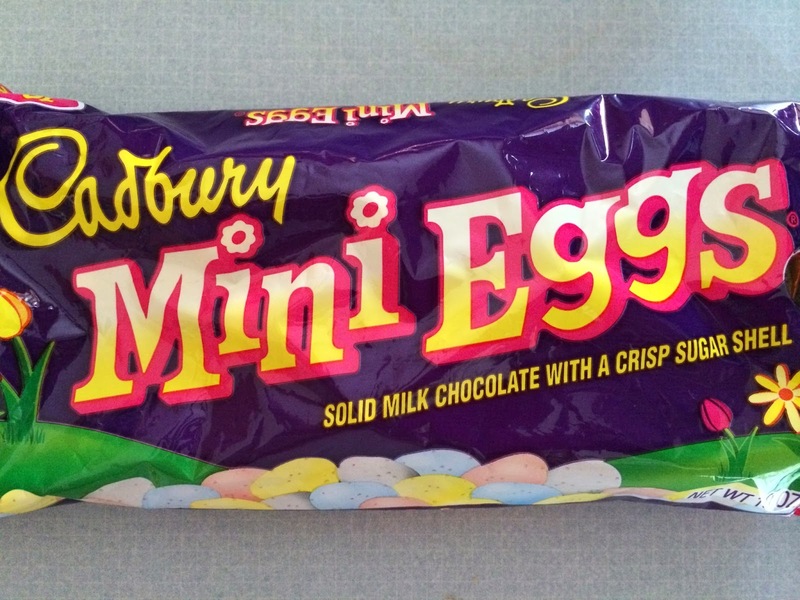 They are hands down my favorite Easter Candy! 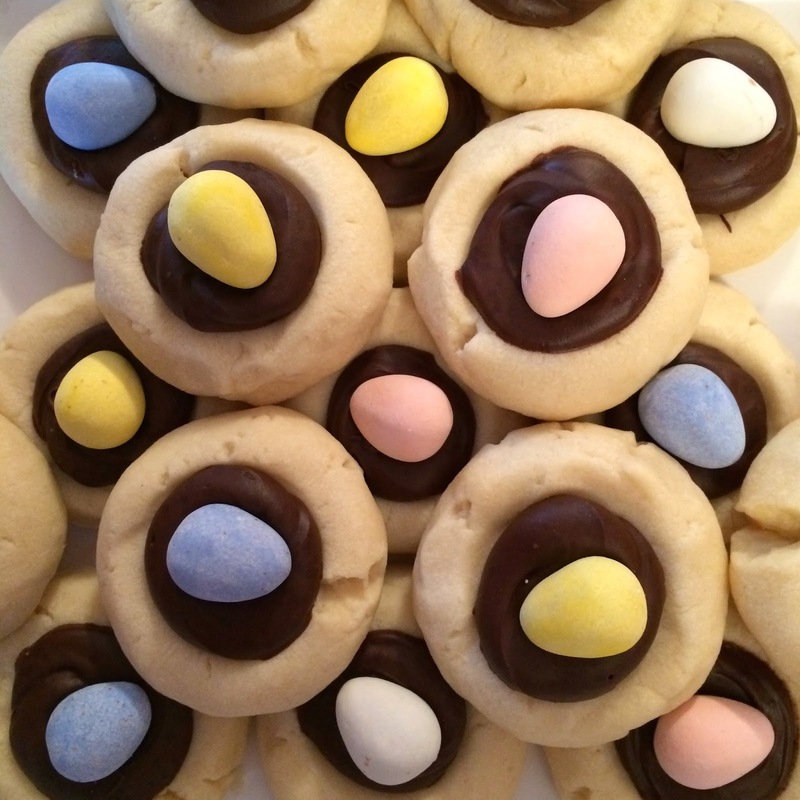 So rather than watching TV and eating an entire bag of these pastel colored delights (something me and the hubby have done a time or two) I try to bake some yummy things using this candy instead! 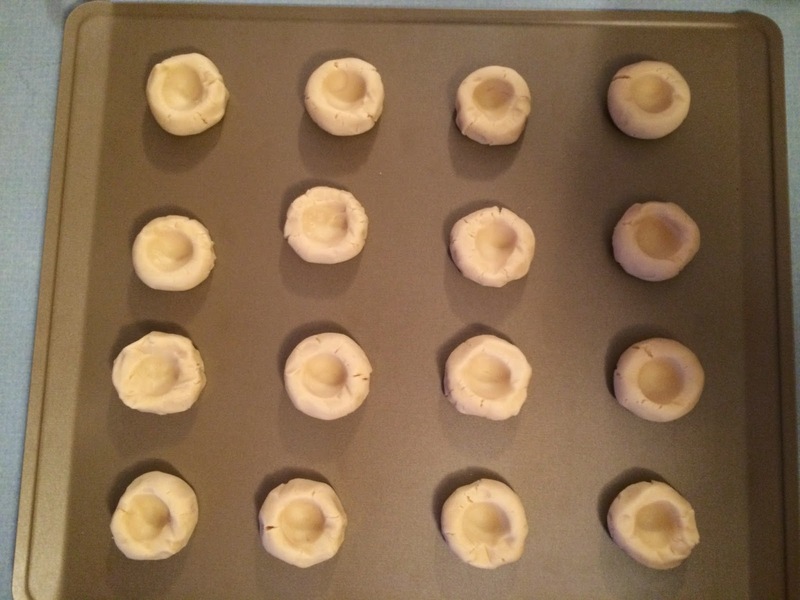 Allow chocolate to cool for 1-2 minutes and spoon into center of each cookies or place into a piping bag and pipe into holes - this is what I did and it will be much less messy! 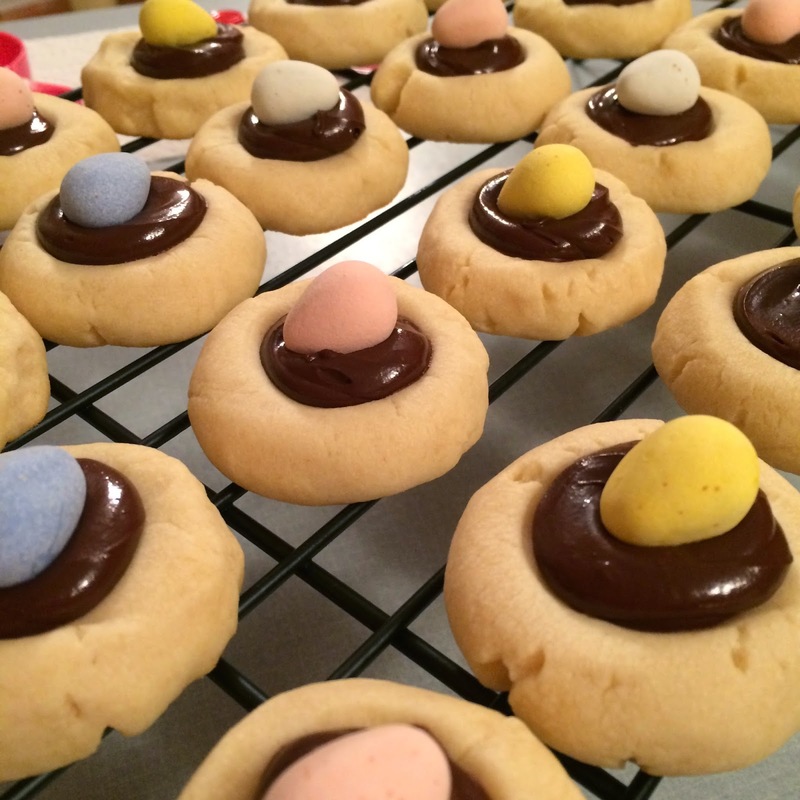 Looking for more Cadbury Mini Egg Recipes?!? You can find one here and another one here! They are perfect with a cup of coffee!